Obviously, there are pieces of furniture that have survived for centuries. If not, we wouldn't have antique shops and great-great-grandmother's game table. So, will your furniture last that long? Probably not. 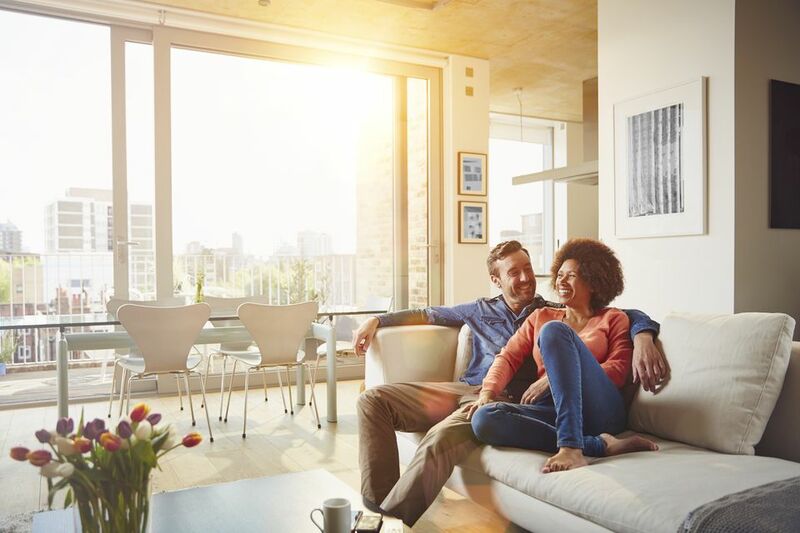 While furniture doesn't have an expiration date like packaged foods, most consumers no longer purchase home furnishings with the plan that they will last forever. Changing tastes, a more mobile society, and more furniture price range options come together to create a new average lifespan of furniture. The life expectancy of most pieces vary by a number of years and is greatly dependent on the original materials used and construction of the pieces, the amount of daily use, and the amount of care taken during the use of the furniture. A sofa in a family room with small children, teenagers, and lots of pets will not last as long as one in a formal living room. How Do I Know It's Time for New Furniture? Is the piece of furniture broken beyond repair? Is the upholstery stained and threadbare? Does the furniture still fit the space where it's used? Is the furniture still comfortable to use? Have your tastes and needs changed? If the sofa is creaking, the cushions are sagging, and all lumbar support is gone, it's time for a new sofa. Stained, smelly, peeling, or ripped upholstery are signs that a replacement or at least a new upholstery job is needed. The same replacement clues that apply to a sofa also apply to an upholstered chair. One additional thing to evaluate on recliners is the reclining mechanisms. If they no longer function smoothly, it's time for a new chair. Whether a dining room chair or side chair, wooden chairs should be replaced if the legs have become wobbly or if the wood is splitting on the seat. If the seat is upholstered, the upholstery can often be replaced easily as long as the rest of the chair is sturdy. Dining room tables may become unsightly from scratches, dents, and burns long before they become structurally unsound. Tables are usually replaced when a larger or smaller size is needed to comfortably fit a room and the usual number of diners. Most coffee and end tables get lots of wear and tear from feet, hot coffee cups, and wet drinking glasses. They should be replaced when they become wobbly, look unsightly, or no longer fit the space and style of the room. If a bed frame begins to creak, it's a good sign that you'll soon need to replace it. New bed frames can be purchased to attach to a favorite headboard, which usually lasts longer than the support system. Beds are often replaced as children grow from a toddler bed to a twin to a larger size. Any type of drawer storage unit should be replaced when the frame is no longer sturdy and drawers no longer open and close easily. A desk should be replaced if it becomes wobbly or if any drawers do not open and close easily. Most desks are replaced as work and technology needs change. If your office chair is used 40 hours per week, it will last around seven to 10 years. The lifespan will depend on whether the chair is made from solid wood, metal, or plastic and if it is leather or fabric covered. You'll know it's time for a new chair when upholstery becomes frayed and the chair becomes uncomfortable to sit in offering no lumbar support. Whether made from wicker, plastic, or metal, patio furniture should be replaced when it becomes unstable and will not support the weight of an adult. You can extend the life of the furniture by keeping it out of direct sunlight, cleaning it routinely, and storing properly during the off-season. Your mattress is probably the most often used piece of furniture in your home. It should be replaced when it sags, has strong odors, and no longer provides the support needed for a restful night's sleep without back pain. What Should I Do With My Old Furniture? Haul It Away: If the furniture is no longer safe to use, broken beyond repair, or infested with insects, it should be disposed of properly. Contact your local municipality for rules on trash pick-up. Donate: Charities, thrift stores, and homeless shelters are thrilled to get good quality, usable furniture. They may even come to your home to pick it up. Sell It: There are numerous online marketplaces available if you'd like to sell furniture. Take clear photos and be honest about the condition of the piece. Or, have a yard sale. Pass It Along: Young adults will often welcome hand-me-downs even if the furniture isn't quite their taste as a way to furnish a new apartment or home. If the piece is a family heirloom, ask your relatives if they would like to have it and first come, first served.